Home ECGC-EXAMS Exam-Dates ECGC PO 2018 Exam Date Announced!!! 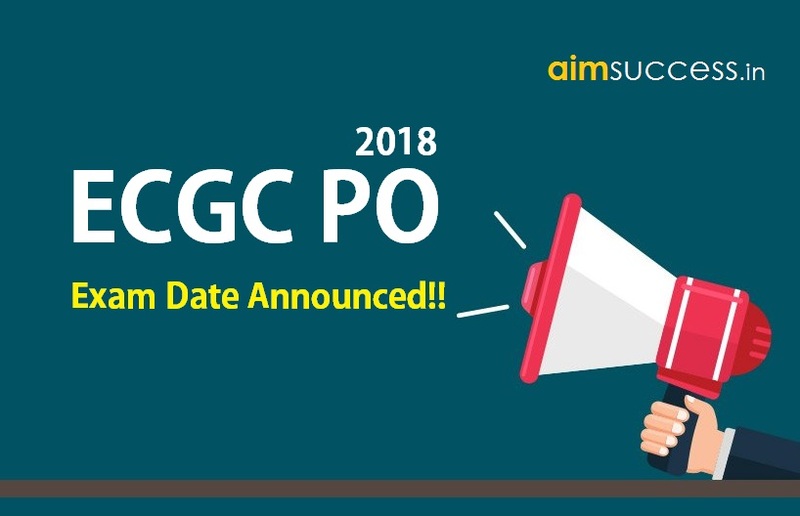 ECGC PO 2018 Exam Date Announced!!! ECGC PO 2018 Exam Date Announced!! Export Credit Guarantee Corporation of India (ECGC) has announced the date of online written exam for the post of Probationary Officers. The ECGC Limited that is a company wholly owned by the Government of India, had advertised the notification for the post of PO in the first week of January 2018. The examination date has been announced and the online written examination for the post of Probationary Officer 2018-19 is scheduled to be held on 06th February 2018 (Tuesday).